Real food. Real people. Real change at seven of Vermont's colleges and graduate schools for food and farm education. About Vermont food and farm education: Connecting learners with leaders, land, and community. What is the Vermont Higher Education Food Systems Consortium? We don’t want you simply to find the best fit for your education; we want to help you create the best fit for your food systems future… and ours! Why should I come to Vermont for food and farm education at one of these seven schools? Vermont is the right place for you if you want to experience the cutting edge world of food systems education and an agricultural economy founded upon ecological stewardship, and community development. Vermont is a national model for building healthy communities and a resilient green economy, and our agricultural heritage is both an anchor to our past and a beacon for the way forward. Our consortium member institutions have long provided two critical assets for Vermont’s food system reputation and successes: the expertise of faculty and the cultivation of young entrepreneurs and leaders. It’s not simply the value of an education in food and agriculture in Vermont that matters—it’s also the values upon which our innovative curricula are based. It’s all a matter of taste—and through our consortium, Vermont’s institutions of higher education have an unrivaled menu in food system education possibilities. How do I know which school is right for me? What if I’m not sure yet about where I want to attend college or graduate school? There’s no better opportunity to explore seven different institutions, each with its own take on food systems education and interacting with its own unique regional community. While you’re exploring Vermont, you will also be examining each component of a carefully crafted food system and learning from Vermont’s numerous food systems pioneers, as well as the up-and-coming leaders and entrepreneurs who are setting the stage for Vermont’s future successes. However, it’s not all glory and success—you will also be introduced to the complexities and challenges of transforming a multitude of visions and expectations into a sustainable food system. Good intentions aren’t enough: come and glean the hard-earned lessons of a state that is leading the nation in reformulating the ways in which food and agriculture can be at the heart of rebuilding healthy communities, economies, and citizens. 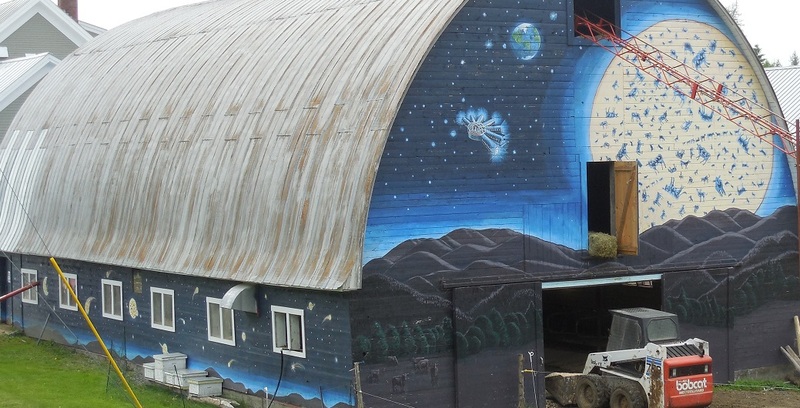 How does the Consortium connect to other Vermont food and farming initiatives? Increase educational resources for strengthening Vermont’s food system. Increase the number of food system establishments and employees. Increase coordination and communication among food system organizations. With a goal to increase economic development and jobs in Vermont’s farm and food sector and improve local food access for Vermonters, the initiative is a national model for state level food systems development. Leadership in education and workforce development from members of the Consortium is paramount to Vermont reaching its Farm to Plate goals where statewide collaborative efforts incubate Vermont’s learning laboratory from the classroom to the businesses and organizations that are shaping Vermont’s food system. Through our innovative consortium, we are creating a platform for sharing students, courses, and faculty expertise among member schools. Through this collaboration, we are combining our collective expertise and resources to attract students and working professionals from around the country to experience the power of food systems education in Vermont— ultimately empowering a new generation of leaders to be catalysts of change at local, state, national, and international levels. Through the Vermont Higher Education Food Systems Consortium’s food and farm educational programming, we are inspiring a new global community of leaders to change the way we think about, cultivate, and leverage food systems. The tastiest cheese. The headiest beer. The highest maple production. The most innovative communities. Vermont is consistently recognized for leading the country and even the world in local food, sustainable agriculture, and food systems rankings. Here are some of the "Firsts” and “Foremosts” in the Vermont agriculture, farm, food, and education scene . Donate to the Vermont Council on Rural Development to help with facilitating Vermont Food and Farm Education.